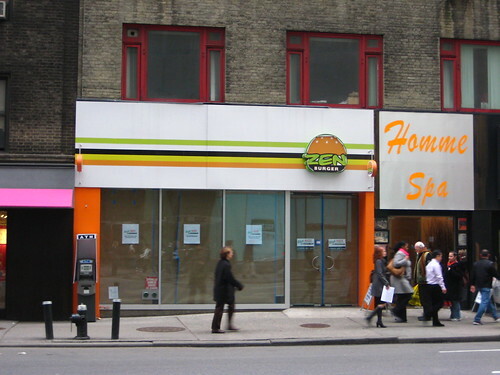 Zach will be happy to see that progress is being made on New York City's first Baja Fresh. Upon leaving my place of employment yesterday, I noticed the curtains had gone up, only to come down when I'm ready to stock up on free pico de gallo. We only have six and a half weeks until May Day! Bonus points if you can see my reflection! 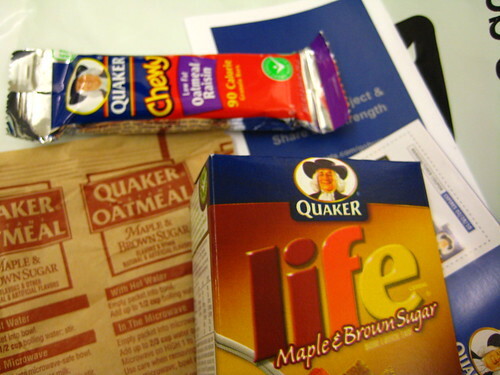 Unless you've been living under a rock, you've been accosted by the current push by Quaker Oats to eat their oats. 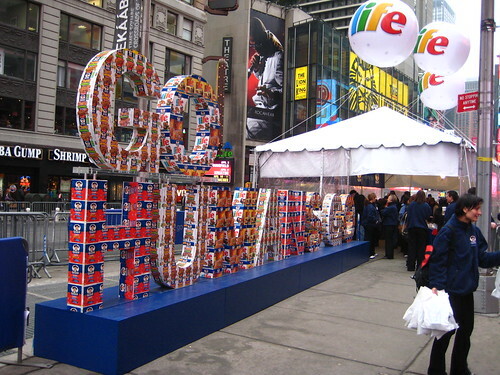 The apex of this advertising bombardment was an oats festivus, if you will, on Military Island in Times Square last Monday. Me, being the freeloader I am, made a pit stop prior to work. There was a large William Penn cutout (no statue, if they'd had a statue I would have taken a picture!) many cameras, mostly focusing on bicycles hooked up to help make oatmeal smoothies; a free oatmeal banquet; and goodie bags! True to form, I scored multiple goodie bags. For more oatmeal fun, check out Serious Eat's Fast-Food Oatmeal Run-Down. P.S. Happy St. Patrick's Day everyone! Now go do a car bomb! 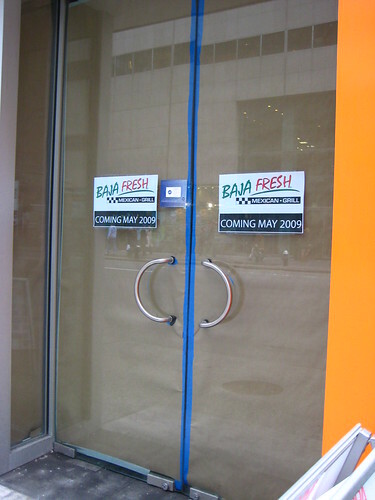 Baja Fresh in NYC, I'm beyond excited!